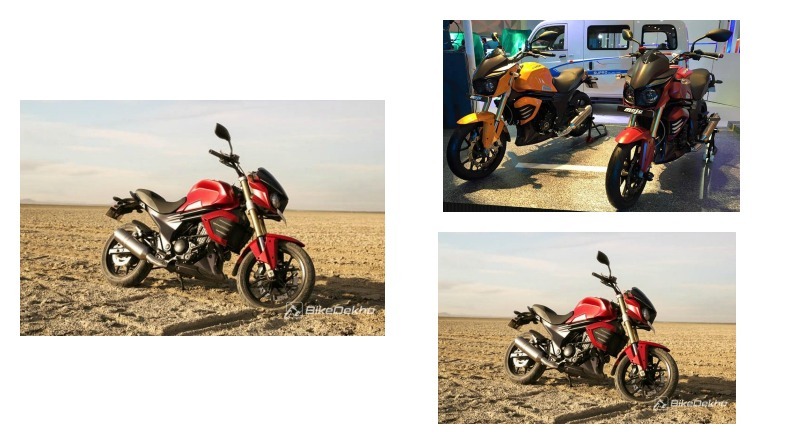 Now, the company is going to throw another new offer to allure its customers and it is is a new colour scheme designed to make the motorcycle more appealing. The Mahindra Mojo is going to get a “Crimson Matte” colour option soon which will get a black finish on the engine, wheels, side panels, ribs and the belly pan. However, the front inverted telescopic forks have been retained in the same golden colour. The Mojo was previously showcased in this new shade at the 2016 Auto Expo, along with the new yellow colour scheme that could also be expected to follow soon. Crimson is a strong, bright, deep shade of red colour in combination with some blue or violet. Application of this paint scheme will give the Mojo a more aggressive appeal which is the key highlight of its styling. The bike retains quite a wild appearance with a masculine fuel tank, owl eye headlamp, tank shrouds with “Wolverine” claws, and much more. Currently, the bike is available in three colour options – Black, White, and Mahindra Racing Red & White. Powering the Mojo is a 295cc, single-cylinder, liquid-cooled engine with 4-valve and DOHC configuration. Using an EFI (Electronic Fuel Injection) system, the motor churns out 27.2PS at 8,000rpm and delivers a peak torque of 30Nm at 5,500rpm. The Mahindra Mojo comes with lots of premium features like a race-inspired analog-digital instrument console, twin exhausts, optional super sticky Pirelli Rosso II tyres, largest in the segment petal disc brakes, beefy upside down forks up front, gas charged monoshock at the rear with internal floating piston, and much more. The ergonomic design makes the Mojo a perfect partner for touring, along with the 21-litre fuel tank providing a long range between stops. Besides all these amazing features and great performance, the bike comes with a price tag of Rs. 1.63 lakh (ex-showroom, Delhi) which is pretty competitive for its segment.